Love at first sight does exist ... but we know relationships take time ! We want you to have the absolute best experience possible on our site. The fact is that over the last 16 years, Subscribed members have submitted a lot more Success Stories than Basic members - relatively speaking it works out to over 14 times more. Don't put a price on your love life. We offer you our risk free guarantee because we want you to concentrate on finding someone perfect for you. Therefore, our GUARANTEE period will last you a full 3 months. This allows you to experience all the benefits that our Subscription membership offers. So what are you waiting for? If you can find another interracial dating site offering you a better service, better quality members AND a 3 month money back guarantee...Join it! When you can't...Join us! 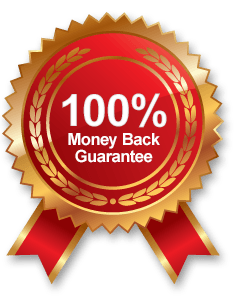 If after 3 months of continuous Subscribed membership, you are not satisfied with our Premium Subscription Service, call us within 14 days after your 90 days are up and we will honor our 3-month guarantee by refunding you the full amount you have paid during that 90 day period. The guarantee period begins on the day of purchase and ends 90 days thereafter. You cancel your subscription agreement prior to 90 days continuous Subscribed membership. Payment was made via Money Order or Western Union. This is not your first period of subscription in this account or any other. MUST be made by telephone by calling our Customer Support Team who will complete your refund request with you over the phone cannot be submitted sooner than at the end of the 90 Day Money Back Guarantee period, as we wish to ensure that you have sufficient opportunity to explore the benefits that our site has to offer and you give yourself the best possible chance to really get to know our members.